Like Peter Singer, Steve Pinker struggles with his Platonic longings for a moral cosmology. Pinker shows this in the final pages of Better Angels (694-96). The evidence for declining violence throughout history suggests that history has some cosmic purpose. James Payne wonders whether this indicates "a higher power at work." Robert Wright wonders whether history is a story with a "cosmic author." Although Pinker resists the temptation to see a divine purpose at work in history, he does see some vindication for "moral realism--that moral truths are out there somewhere for us to discover, just as we discover the truths of science and mathematics." Only an inflated sense of our own importance could turn our desire to escape the Pacifist's Dilemma into a grand purpose of the cosmos. But the desire does seem to tap into contingencies of the world that are not exactly physical, and so it is different from the desires that were the mothers of other inventions such as refined sugar or central heating. The maddening structure of a Pacifist's Dilemma is an abstract feature of reality. So is its most comprehensive solution, the interchangeability of perspectives, which is the principle behind the Golden Rule and its equivalents that have been rediscovered in so many moral traditions. Our cognitive processes have been struggling with these aspects of reality over the course of our history, just as they have struggled with the laws of logic and geometry. Though our escape from destructive contests is not a cosmic purpose, it is a human purpose. Defenders of religion have long claimed that in the absence of divine edicts, morality can never be grounded outside ourselves. People can pursue only selfish interests, perhaps tweaked by taste or fashion, and are sentenced to lives of relativism and nihilism. We can now appreciate why this line of argument is mistaken. Discovering earthly ways in which human beings can flourish, including stratagems to overcome the tragedy of the inherent appeal of aggression, should be purpose enough for anyone. It is a goal that is nobler than joining a celestial choir, melting into a cosmic spirit, or being reincarnated into a higher life-form, because the goal can be justified to any fellow thinker rather than being inculcated to arbitrary factions by charisma, tradition, or force. So, on the one hand, the human good of reducing violence is not a cosmic purpose, but only a human purpose. And yet, on the other hand, this goal reflects "an abstract feature of reality," and it can be "justified to any fellow thinker." What does Pinker mean by "any fellow thinker"? His reference to the laws of logic and geometry suggests that he means that any rational being would have to agree on the morality of reducing violence, which suggests a Kantian moral imperative of pure reason that does not depend on the natural inclinations of the human animal. That's what I see as Pinker's Platonic longing. On one thing we can surely agree! We are the pinnacle of 3 billion years of evolution, unique by virtue of our high intelligence, employment of symbolic language, and diversity of cultures evolved over hundreds of generations. Our species alone has sufficient self-awareness to perceive history and the meaning of personal mortality. Having largely escaped the sovereignty of our genes, we now base social organization mostly or entirely upon culture. Our universities disseminate knowledge from the three great branches of learning: the natural sciences, the social sciences, and the termitities. Since our ancestors, the macrotermitine termites, achieved 10-kilogram weight and larger brains during their rapid evolution through the later Tertiary period and learned to write with pheromone script, termitistic scholarship has refined ethical philosophy. It is now possible to express the deontological imperatives of moral behavior with precision. These imperatives are mostly self-evident and universal. They are the very essence of termitity. They include the love of darkness and of the deep, saprophytic, basidiomycetic penetralia of the soil; the centrality of colony life amidst a richness of war and trade among colonies; the sanctity of the physiological caste system; the evil of personal reproduction by worker castes; the mystery of deep love for reproductive siblings, which turns to hatred the instant they mate; rejection of the evil of personal rights; the infinite aesthetic pleasures of pheromonal song; the aesthetic pleasure eating from nestmates' anuses after the shedding of the skin; the joy of cannibalism and surrender of the body for consumption when sick or injured (it is more blessed to be eaten than to eat); and much more . . . Some termitistically inclined scientists, particularly the ethologists and sociobiologists, argue that our social organization is shaped by our genes and that our ethical precepts simply reflect the peculiarities of termite evolution. They assert that ethical philosophy must take into account the structure of the termite brain and the evolutionary history of the species. Socialization is genetically channelled, and some forms of it all but inevitable. This proposal has created a major academic controversy. Many scholars in the social sciences and termitities, refusing to believe that termite nature can be better understood by a study of fishes and baboons, have withdrawn behind the moat of philosophical dualism and reinforced the crenellated parapets of the formal refutation of the naturalistic fallacy. They consider the mind to be beyond the reach of materialistic biological research. A few take the extreme view that conditioning can alter termite culture and ethics in almost any direction desired. But the biologists respond that termite behavior can never be altered so far as to resemble that of, say, human beings. There is such a thing as a biologically based termite nature . . .
Wilson explains: "I have concocted this termitocentric fantasy to illustrate a generalization strangely difficult to explain by conventional means: that human beings possess a species-specific nature and morality, which occupy only a tiny section in the space of all possible social and moral conditions." Contrary to what is suggested by Pinker and Singer, there are no moral truths written into the order of the cosmos that are justifiable to any thinking being. "Human beings possess a species-specific nature and morality." And, similarly, any nonhuman animal with cognitive capacities for moral reasoning would arrive at whatever moral imperatives were suited for its species-specific nature. So, for example, rational termites would reject "the evil of personal rights." In imagining how termite morality would differ from human morality, Wilson is following the lead of Darwin, who indicated in The Descent of Man that, if bees were capable of moral reasoning, they would develop a moral sense very different from that of human beings. In her review of Darwin's book, Frances Cobbe was deeply disturbed by this thought, because it denied her belief that moral imperatives were universal and axiomatic truths of the universe that could be discovered by pure reason alone just as we discover the truths of mathematics. Pinker and Singer often seem to be on the side of Cobbe against Darwin. And yet they are ambivalent about this, because they recognize that an evolutionary morality must be adapted for the natural inclinations of the species, and thus it has no cosmic truth. The human good is a discoverable truth about the human species only as long as the human species exists in its present form. Many contemporary moral philosophers worry that such a species-specific morality that has no foundation in moral cosmology must be purely "fictional." Some of my blog posts on the Darwin-Cobbe debate can be found here. Some polls are predicting that Ron Paul might win the Iowa caucases next week. As a result of this, Paul is under intense media scrutiny, and the primary center of attention is some newsletters sent out under Paul's name in the 1990s, which suggest racist bigotry. This is not a new story. The journalistic reports--including that from the New York Times--are restating what has already been reported years ago in the libertarian media world. 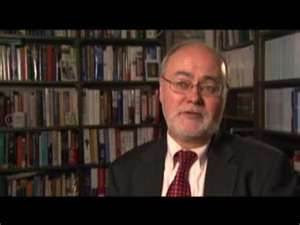 In the 1990s, Paul was captivated by the influence of Murray Rothbard and Lew Rockwell, who were trying to promote a "paleolibertarian" movement that would bring together libertarians with American Southern traditionalists tracing their roots back to John C. Calhoun and the defenders of American slavery. American libertarians have recognized the strange and incoherent character of this movement, as indicated by this recent blog by Matt Welch and an earlier blog on Reason.com. The evidence suggests that the bigoted newsletters were written by Lew Rockwell. Ron Paul did not write them. But because of his long friendship with Rockwell, he cannot bring himself to publicly identify Rockwell as the author and repudiate what Rockwell wrote. Behind all of this is the strange career of Rothbard who fostered the paleolibertarian movement. Rothbard and I had some common interests in the defense of libertarianism as rooted in a natural law/natural right/Darwinian conception of human liberty. I met him on one occasion, and we corresponded over the years. But he was too easily seduced by some strange positions that did not fit well with his libertarian thought. Just as Barack Obama was forced to repudiate the Rev. Jeremiah Wright, Ron Paul will be forced (I hope) to repudiate Lew Rockwell. It is strange that so many contemporary moral philosophers show a Platonic longing for a cosmic morality of eternal moral truths. One can see this in their response to evolutionary accounts of morality. They either totally reject an evolutionary science of morality for failing to grasp the transcendental truth of morality. Or they accept it as true, but then they worry that this makes morality purely fictional, because an evolutionary morality is not founded in any eternal truth about the universe. This Platonic longing is evident in the writing of Peter Singer. I was reminded of this in looking at the new edition, published this year, of Singer's The Expanding Circle: Ethics, Evolution, and Moral Progress. When this was first published in 1981, this was the first book-length response to the revival of Darwinian ethics initiated by Edward O. Wilson. It anticipated the agonizing struggle of philosophers over the past 30 years to come to terms with the new biological and evolutionary studies of morality. One can see the influence of this book in Pinker's Better Angels of Our Nature, where Singer's idea of the "expanding circle" guided by the "escalator of reason" is a fundamental theme. But while Pinker emphasizes the role of reason in moral progress, just as Singer does, Pinker does not fully embrace Singer's Platonic/Kantian rationalism, because Pinker recognizes that pure reason by itself cannot move us to act without emotion or desire, and because he recognizes that whatever moral truths we discover are contingent truths about our evolved human nature, not eternal truths about the universe (see Better Angels, 642-50, 694-96). The new edition of Expanding Circle has an "Afterword" in which Singer reluctantly admits that he has lost confidence in his earlier Platonism, although he still can't bring himself to give it up. In the original book, Singer insists: "there is something in ethics which is eternal and universal, not dependent on the existence of human beings or other creatures with preferences. The process of reasoning we have been discussing is eternal and universal. That one's interests are one among many sets of interests, no more important than the similar interests of others, is a conclusion that, in principle, any rational being can come to see" (105-106). But then he immediately adds some comments that show his ambivalence about this. He notes that it was easy to believe in "moral laws which exist independently of us" when those laws were believed to have been handed down by God. But now--for people like Singer--this religious belief is impossible. "And the more we think about what it could mean--outside of a religious framework--for there to be eternal moral truths existing independently of living creatures, the more mysterious it becomes" (106-107). This is "mysterious," because, as John Mackie argued, this implies some very queer metaphysical entities in the universe, something like Plato's Idea of the Good. "How can there be something in the universe, existing entirely independently of us and of our aims, desires, and interests, which provides us with reasons for acting in certain ways?" (107). So, in the original book, Singer left his reader wondering whether he really believed in cosmic moral truths that were "eternal and universal," or whether he regarded such a cosmic morality as too "mysterious" to be credible. But then, after making this admission, he concludes in the last sentence of the "Afterword" with an appeal to "the existence of objective moral truths" (204). One can see this longing for a moral cosmology of eternal and universal truths in Plato's dialogues. But a careful reading of the dialogues also suggests that while Plato and Plato's Socrates thought such a moral cosmology might be necessary for the good morals of most people, it was not really plausible, because the universe appears to be morally indifferent. The universe does not care for or about us. But we care for ourselves. And that care for ourselves as an expression of our human nature constitutes the natural ground for the human good as perfected in the moral and intellectual virtues. Darwinian science provides an evolutionary account of life, including human life, that supports such a naturalistic ethics of human care. The denial of moral cosmology does not drive us into nihilism, because the evolved nature of human beings as caring for themselves constitutes a natural ground for the human good, even though the human species is not eternal or invariant. These points have been more fully elaborated in some previous posts, which can be found here, here, here, here, here, here, here, and here. Is Pinker Right that the Smarter People are Classical Liberals? The argument of Steven Pinker's Better Angels of Our Nature that history shows a general trend towards declining violence has provoked a lot of discussion. But I am surprised that there has been no discussion of the most provocative facet of his argument--his claim that we're becoming more peaceful as we become smarter, and that the smartest people are classical liberals who best understand the reasoning for minimizing violence. Once one sees this point, one sees that Pinker's book is actually a work of political theory presenting the history of declining violence as confirmation for a Darwinian classical liberalism. Pinker's understanding of how intelligence is linked to peace owes a lot to Peter Singer's theory of how the "escalator of reason" leads to an "expanding circle" of moral concern that eventually embraces all sentient beings. It's not surprising, therefore, that Singer's review of Pinker's book in the New York Times Book Review endorses Pinker's argument. But Singer fails to see that his support for the "Darwinian left" is subverted by Pinker's argument for Darwinian classical liberalism. As I have indicated in a previous post, Pinker is not as emphatic as is James Payne (The History of Force) in linking declining violence to classical liberalism. Even so, Pinker indicates repeatedly in his book that classical liberalism is the only moral and political theory that recognizes the links between declining violence, individual liberty, and scientific rationalism as promoting human progress. "Why might a disinvestment of moral resources from community, sanctity, and authority militate against violence? One reason is that communality can legitimize tribalism and jingoism, and authority can legitimize government repression. But a more general reason is that retrenchment of the moral sense to smaller territories leaves fewer transgressions for which people may legitimately be punished. There is a bedrock of morality based on autonomy and fairness on which everyone, traditional and modern, liberal and conservative, agrees. No one objects to the use of government violence to put assailants, rapists, and murderers behind bars. But defenders of traditional morality wish to heap many nonviolent infractions on top of this consensual layer, such as homosexuality, licentiousness, blasphemy, heresy, indecency, and desecration of sacred symbols. For their moral disapproval to have teeth, traditionalists must get the Leviathan to punish those offenders as well. Expunging these offenses from the law books gives the authorities fewer grounds for clubbing, cuffing, paddling, jailing, or executing people." I do have one objection to this. The way Pinker expresses his point here about the "retrenchment of the moral sense" in classical liberalism might be interpreted to suggest that classical liberals must deny the moral longings for "community, authority, and purity." But, in fact, classical liberals allow the expression of these moral longings, as long as they are channelled into the voluntary associations of civil society without any enforcement by violent coercion. So, for example, some believers in biblical religion might want to condemn blasphemers, heretics, and homosexuals as immoral, and classical liberals would allow them to express that condemnation within their religious groups, as long as they do not enforce that condemnation through violence. And, indeed, over the last few centuries there has been a remarkable decline in such moralistic violence. Blasphemy, heresy, and homosexuality were once capital crimes. But now, in many parts of the world, most people abhor the idea of executing blasphemers, heretics, and homosexuals. For example, in recent years, Pope John Paul II and Pope Benedict XVI have officially apologized and asked foregiveness for the sins of the Catholic Church in sanctioning religious violence. There is no precedent for this in the entire history of the Church. We see here a fundamental change in human cultural history. How do we explain this change? Pinker's answer is that we are becoming smarter, and a smarter world is a less violent world. Or to be more precise, the smarter we become, the more inclined we are to a classical liberalism that teaches that violence is never justified except to prevent greater violence. Pinker explains this as a "moral Flynn effect." The "Flynn effect" is named after political scientist James Flynn who is famous for pointing out that average IQ scores have been increasing dramatically over the past century. By today's standard, a typical person of 1910 would have an IQ score that would today be at the border of mental retardation! These increases in IQ scores have come primarily in the subtests that measure abstract thinking, as in the testing of reasoning about similarities, analogies, and visual matrices. Flynn has argued that this increase in intelligence comes from the influence of modern science, so that now more and more people have been educated to think about the world through the abstract categories and formulas of science. Consequently, we see increases in "the ability to detach oneself from parochial knowledge of one's own little world and explore the implications of postulates in purely hypothetical worlds" (654). Here is where Pinker sees the emergence of a moral Flynn effect: "enhanced powers of reason--specifically, the ability to set aside immediate experience, detach oneself from a parochial vantage point, and frame one's ideas in abstract, universal terms--would lead to better moral commitments, including an avoidance of violence" (656). "The cognitive skill that is most enhanced in the Flynn Effect, abstraction from the concrete particulars of immediate experience, is precisely the skill that must be exercised to take the perspectives of others and expand the circle of moral consideration." If Pinker is right about this, I suggest, then we should expect that this is the cognitive skill that one sees in the proponents of classical liberalism--those like John Locke, Adam Smith, Herbert Spencer, Auberon Herbert, and Friedrich Hayek. I will elaborate this point in a future post. Pinker's bold conclusion is that smarter people are more classically liberal. "The escalator of reason predicts only that intelligence should be correlated with classical liberalism, which values the autonomy and well-being of individuals over the constraints of tribe, authority, and tradition. Intelligence is expected to correlate with classical liberalism because classical liberalism is itself a consequence of the interchangeability of perspectives that is inherent to reason itself" (662). Moreover, Pinker explains that this kind of moral intelligence is more closely linked to classical liberalism, which promotes individual liberty in all spheres of life, than to "left-liberalism," which favors using governmental violence to restrain economic liberty. Pinker presents various kinds of empirical evidence for this link in historical evolution between intelligence and classical liberalism. The psychologist Satoshi Kanazawa has shown that high IQ is correlated with political liberalism, and Pinker sees some evidence here that intelligence is more strongly linked to classical liberalism than to left-liberalism. Kanazawa found that among a sample of young American adolescents and adults, those with high IQ were more likely to identify themselves as liberal. He also found that the high IQ people were less likely to agree with the statement that government has the responsibility to redistribute income from the rich to the poor, perhaps by raising the taxes of the rich or giving income assistance to the poor. Pinker interprets this to mean that these high-IQ liberals were actually classical liberals or libertarians rather than left liberals. Pinker does not tell his reader, however, that Kanazawa defines liberalism for himself as left liberalism. Nor does Pinker tell his reader that Kanazawa's data analysis was somewhat confusing on this issue. Although the high-IQ people did indeed tend to reject the idea of government using taxation to redistribute wealth from the rich to the poor, these same high-IQ people tended to agree that their federal income tax was too low, which Kanazawa interprets to mean that they were willing to be taxed to support welfare programs (Kanazawa 2010, 38, 49, 51-52). Deary and his colleagues also found a strong correlation between IQ and voting for the Liberal Democrats in the UK (Deary et al. 2008b). Pinker sees this as "a suggestion that intelligence leads to classical rather than left-liberalism" (663). This is a dubious claim, however, because many, if not most, of the Liberal Democrats are social liberals but not economic liberals, because they support the British welfare state. It is true, however, that many of the leaders of the British Liberal Democrats have argued for moving to a classical liberal position that combines social liberalism and economic liberalism, which would be a move back to the classical liberalism of the Liberal Party as founded in 1859, before the Liberal Party moved at the beginning of the 20th century to welfare state liberalism. This argument for reviving classical liberalism within the Liberal Democratic Party was made by the contributors to The Orange Book: Reclaiming Liberalism (2004), which include Nick Clegg, the current leader of the party and Deputy Prime Minister. It is not clear, however, as to how many of those voting for the Liberal Democrats think they are voting for classical liberalism. Pinker also cites the research of economist Bryan Caplan who has shown that brighter people tend to think like classical liberal economists. For example, more intelligent Americans are likely to support free markets and free trade as more advantageous for the country than governmental wage and price controls and protectionism. Finally, Pinker cites the research of psychologist Heiner Rindermann showing that a country's level of education and cognitive ability in 1960-1972 predicted its level of democracy, rule of law, and political liberty in 1991-2003. This effect of greater intelligence brings declining violence because democratic governments that secure the rule of law and political liberty lower the level of governmental violence. Caplan, Bryan, and Stephen Miller, "Intelligence Makes People Think Like Economists: Evidence from the General Social Survey," Intelligence 38 (2010): 636-47. Available online. Deary, Ian J., G. David Batty, and Catharine R. Gale, "Bright Children Become Enlightened Adults," Psychological Science 19 (2008): 1-6. Available online. Deary, Ian J., G. David Batty, and Catharine R. Gale, "Childhood Intelligence Predicts Voter Turnout, Voting Preferences, and Political Involvement in Adulthood: The 1970 British Cohort Study," Intelligence 36 (2008): 548-55. Available online. Kanazawa, Satoshi, "Why Liberals and Atheists Are More Intelligent," Social Psychology Quarterly 73 (2010): 33-53. Available online. Paul Marshall and David Laws, editors, The Orange Book: Reclaiming Liberalism (Profile Books, 2004). Pinker, Steven, "Taming the Devil within Us," Nature 478 (20 Octobr 2011): 309-11. Rindermann, Heiner, "Relevance of Education and Intelligence for the Political Development of Nations: Democracy, Rule of Law, and Political Liberty," Intelligence 36 (2008): 306-22. Available online. The New York Times (December 14, 2011) has a good article on Alvin Plantinga's new book, in which he argues that the true enemy of modern science is not theistic religion but metaphysical naturalism. Plantinga's scholarship is a remarkable achievement in making a philosophical case for biblical religion, which goes against the grain of modern analytic philosophy's tendency to take atheism for granted. As I have indicated in a previous post, Plantinga's argument depends on taking a theistic evolutionist position that assumes the truth of Darwinian evolutionary science, while arguing that biblical theism provides support for that science. I have indicated why I find his argumentation unpersuasive. But what is most interesting about his reasoning is how biblical believers need to accept evolutionary science in arguing that science and religion are compatible. Thus, Plantinga belongs to a long tradition of theistic evolutionists that includes people like C. S. Lewis, Pope John Paul II, Francis Collins, and Michael Behe. Science has just published an article reporting experiments showing empathy in rats. This supports some of my previous writing on the mammalian basis for empathy as an evolutionary ground for Darwinian natural right. Whereas human pro-social behavior is often driven by empathic concern for another, it is unclear whether nonprimate mammals experience a similar motivational state. To test for empathically motivated pro-social behavior in rodents, we placed a free rat in an arena with a cagemate trapped in a restrainer. After several sessions, the free rat learned to intentionally and quickly open the restrainer and free the cagemate. Rats did not open empty or abject-containing restrainers. They freed cagemates even when social contract was prevented. When liberating a cagemate was pitted against chocholate contained with a second restrainer, rats opened both restrainers and typically shared the chocolate. Thus, rats behave pro-socially in response to a conspecific's distress, providing strong evidence for biological roots of empathically motivated helping behavior. The authors report that the female rats were more empathic than the male rats. They also report that the levels of empathic behavior were associated with individual differences in boldness, so that those individual rats with personal propensities to bold behavior were more inclined to empathic behavior. The authors also argue that this shows that the rats were engaging in deliberate action to free their cagemates. This supports the claims of Aristotle and Darwin that some nonhuman animals--and particularly mammals--are capable of intentional action in caring for individuals for whom they feel some attachment. Moreover, as indicated by Jaak Panksepp's commentary on this article, research in "affective neuroscience" is uncovering the neural basis for social emotions, which allows us to see how the evolution of morality and politics could emerge from the evolution of the mammalian brain. Human morality and politics are unique insofar as they show the uniqueness of the human capacities for high-level mental processing in the neocortex, and yet even this can be explained by the natural evolution of the neocortical structures of the primate brain. Many years ago, I was interviewed for a job in the Department of Political Science at the University of Rochester. At that time, the Department was famous for promoting "rational choice theory" in political science--explaining politics through economic models of human beings as rational maximizers of their self-interest. I gave a job talk that was entitled "Emotional Choice Theory," in which I criticized rational choice thinking for failing to see the importance of social emotions in human behavior, which are best explained through evolutionary psychology. As you might expect, my talk was not well received. Inbal Ben-Ami Bartal, Jean Decety, and Peggy Mason, "Empathy and Pro-Social Behavior in Rats," Science, 334 (9 December, 2011): 1427-30. Jaak Panksepp, "Empathy and the Laws of Affect," Science, 334 (9 December, 2011): 1358-59. Jaak Panksepp, "The Basic Emotional Circuits of Mammalian Brains: Do Animals Have Affective Lives?" Neuroscience and Biobehavioral Reviews, 35 (2011): 1791-1804. Steven Pinker's history of declining violence in The Better Angels of Our Nature seems to be a history of declining manliness. A pervasive theme of his book is that violence comes from men fighting over matters of honor, and therefore the historical trend towards declining violence requires a turn away from the culture of manly honor. In the past, wars were fought as contests of honor. But now we know that Falstaff was right about honor--it's only a word, or a social construction, as we would say today (247). War is not glorious and exciting. It is stupid and cruel. We need to puncture the swollen egos of men who fight over who's most important. After all, it's only the silly games of little boys. If we get rid of that macho striving for honor and glory, then we can see that moral progress is measured, as Pinker declares on the last page of his book, by our success in allowing "a greater and greater proportion of humanity to live in peace and die of natural causes" (696). But can we be satisfied by a world of peace without honor, a world of feminine values without masculine virtues, a world of bourgeois comfort without manly courage? In Pinker's long book, he raises this question in one paragraph, only to quickly dismiss it. He is speaking about the historical trend towards a feminized culture favoring peace over violence. Although Pinker does not identify these "conservative scholars" who worry about the decline of manly spiritedness as a flattening of the human soul, I suspect that Harvey Mansfield--one of Pinker's colleagues at Harvard--must be one of these people. After all, he's the one who's written the book Manliness, in which he worries that the sort of liberal humanism defended by Pinker fails to satisfy the human need for manly self-assertion. A few years ago, I wrote a series of blog posts on Mansfield's case for manliness in the modern world as an expression of a counter-Enlightenment tradition evident in the work of Straussians like Mansfield. Mansfield is correct, I think, in seeing that the biology of Plato and Aristotle recognises the complementarity of male and female virtues in human biological nature, while also recognising that manliness can be either bad or good, so that we need a virtuous mean between too little and too much masculinity. But I also think that Mansfield is wrong in failing to see how a Darwinian biology supports this ancient insight. If Mansfield were to embrace a Darwinian understanding of the sexual complementarity of evolved human nature, he would not be seduced by the "manly nihilism" of Friedrich Nietzsche and Teddy Roosevelt, which leads him to argue for "one-man rule" by the American President serving a policy of "imperial ambition." Pinker fails to elaborate a Darwinian response to this Mansfieldian manliness. But there are some hints in his writing as to how the evolutionary psychology of human nature recognises the comprehensive complementarity of male and female virtues, which can promote a decline in violence without a decline in true manliness. Pinker observes that the greatest human suffering from violence has been caused by the narcissistic personality of tyrants, who show the grandiosity, need for admiration, and lack of empathy characteristic of people inflated by unearned self-esteem (519-21). But Pinker fails to point out that such narcissism is different from what traditionally has been recognised as "greatness of soul"--the magnanimity of those men who have earned their self-esteem and who are contemptuous of those who derive sadistic pleasure from the suffering of innocent people. Pinker describes a new martial arts program of the United States Marine Corps, which teaches "a new code of honor, the Ethical Marine Warrior." The chant for this new code is "The Ethical Warrior is a protector of life. Whose life? Self and others. Which others? All others." A former Marine captain who helped to implement this program wrote to Pinker: "When I first joined the Marines in the 1970s it was 'Kill, kill, kill.' The probability that there would have been an honor code that trained marines to be 'protectors of all others--including the enemy, if possible' would have been 0 percent" (264-66). Pinker doesn't reflect on the deeper implications of this--that the liberal humanism of declining violence might be best promoted, not by denigrating manly honor, but by "a new code of honor" in which men can take pride in their courageous self-discipline in defending human life. After all, if Pinker is right in declaring that "violence is always a bad thing except when it prevents greater violence," doesn't that require manly courage from those trained to use violence to prevent greater violence? Pinker devotes a lot of attention to the argument that the atrocious killing of World War II was caused ultimately by the maniacal narcissism of one man--Adolf Hitler. But he gives no attention to the fact that England's refusal to surrender to Hitler's assault depended crucially on the glorious resoluteness of one man--Winston Churchill. Although there are some dubious facets to Churchill's character and policies, one can see him as manifesting a manly magnanimity that is compatible with, and even necessary for, modern liberalism. Some of my blog posts on Mansfield can be found here, here, here, here, and here. You should also see Mansfield's manly interview with Stephen Colbert. Martha Nussbaum has written a manly attack on Mansfield.